Today at Creative Potager we have the good fortune to view a photograph of my grandson’s munching creative project that he and his mother did this weekend. Don’t they look delicious? 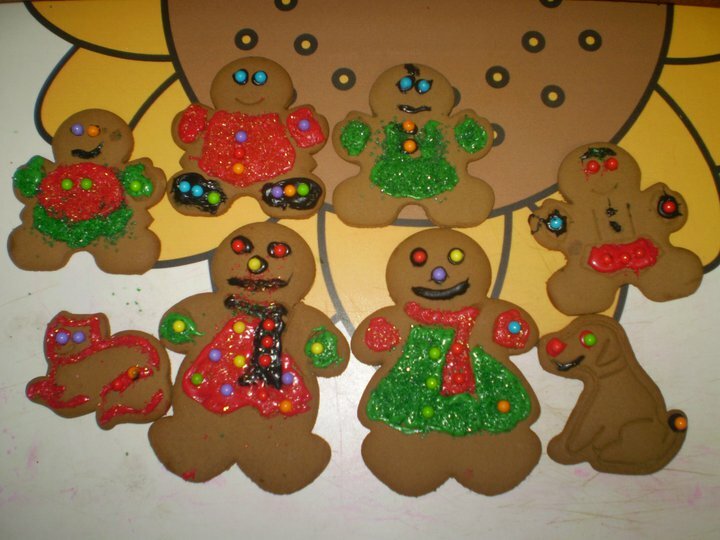 Thank you Arrow and Tina for letting me share your photograph of these most tasty looking gingerbread cookies. Dear readers, I have been told they are gone – every head, belly and limb of them – devoured! This week is going to be a bit like this as well. I have so many things to share you will find yourself munching your way through these links as if they were those gingerbread cookies. First, there is a blog party over on Leanne Dyck’s The Sweater Curse at http://sweatercursed.blogspot.com. Leanne is throwing a virtual bash to celebrate the e-book publication of her thriller The Sweater Curse. We are all invited. So drop on in. 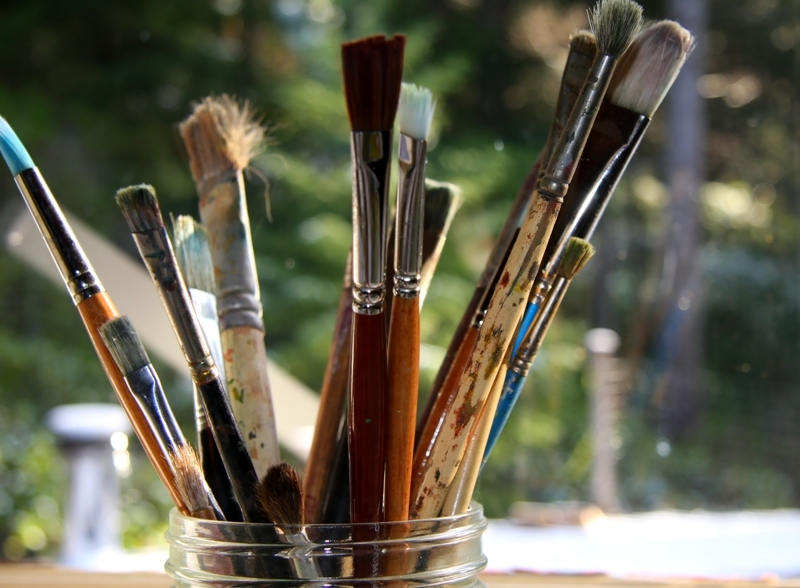 Second, I am a guest blogger at Daisy Hickman’s SunnyRoomStudio. Please come by “First Light” and you shall find, among other things, a sprout question there too. Third, I am greatly honoured to share with you a moving post by Annie Q Syed. A few months ago Annie bought my original oil painting “Only the Sea” and it now hangs in a sun-filled apartment in New York City. To learn more go to Annie’s post The Soul of the Sea. Fourth, Sam Juliano over at Wonders in the Dark has his list of The Ten Best Films of 2010 posted. 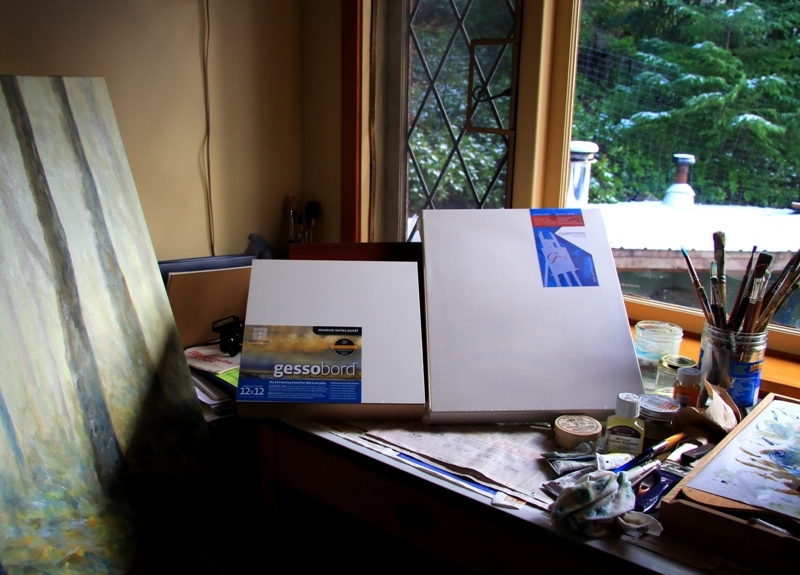 My intentions this week are to start work on two new oil paintings. They are a 14 X 18 inch canvas and a 12 X 12 inch gessobord with a two inch birch cradle. The look minute beside the large canvas I worked on last week. I have moved “the big one” into the other part of the loft area where it can be seen during the day while I wait to see what next to do with it. Have a wonderful week. Sprout question: What can you add to our creative munch list? Terrill – If those gingerbread cookies had been at my home, every last one of them would have been gobbled up as well. They look like they were delicious! I can hardly wait to see what Sam has listed as his top ten picks. And I’m ready for Leanne’s party as well. I’ve decided to bring my favorite fondue. Laurie I tell you this is going to me the most impress link munch list ever this week! I look forward to reading “The Chicken Ladies Garden Club.” This will be a perfect read for today as lazy snowflakes drift down from the grey sky slowly gathering on frozen ground. You are welcome Leanne! I showed up at the wrong door over at your party but found my way in now… some great recipes and party drinks showing up along with some awesome folks to visit with. Dear readers, this is a party you don’t want to miss. Good of you to drop by Patricia. Are you going to be making cookies now? I am not sure how “good” anything will be but the paint is moving so that is good in itself. Terrill, you know I’m a fan! I thank you again for your lovely guest post, First Light, which I will return to over the year to remind me of the power of daybreak. AlSO, there’s a new page in SunnyRoomStudio called Studio Guests, so you will find a link to your post on that page going forward so your fans and supporters can find First Light easily and anytime. The cookies look heavenly — I have a sweet tooth (capricorn trait, they tell me) — so I loved this picture. Also loved the idea of a creative “munch list” — excellent idea! Daisy it was my pleasure to be a guest at SunnyRoomStudio. You made it an effortless and rewarding experience. I can see why those delectables had such a short life span Terrill, though with the gang in this house hey be gone in a giffy too! Of course they really do look too good to eat, and fit right in with the visual design at this place! Looks like Annie has been truly inspired by your treasure, THE SOUL OF THE SEA. Some beautiful language there for sure! Looks like you have your amunition all ready to move forward this week, and by the looks of it you seem to have the inspiration this week. I’d love to see the fruits of your labor! I did pay a visit to Leanne and saw the glorious festivities unfold! A rightly exciting time for her! Many thanks for linking up to my Ten Best list! And to Laurie too! Have a most productive week my friend! You are welcome Sam. Glad you had a chance to munch up some of those links. If I can swing it, I am going to post a few photographs this week. We shall see. Been working on both paintings today and need to do up a consignment agreement for a new venue I am sharing with another local photographer. Very exciting and more on that as things fall into place. Terrill – I’ve had the pleasure of visiting “First Light” where I left a comment and was so impressed with Daisy’s site that I subscribed, and The Soul of the Sea where I tried to leave a comment, but received an “errors on page’ message – which didn’t detract from my glorious visit in the least (but I was able to Tweet it). THANK YOU, THANK YOU, THANK YOU for the links. You are welcome Laurie. I haven’t even made it over to your post from yesterday yet! I have a reasonable excuse though. The electricity has just come on after going out about 12 hours ago. Yes Laurie that is usually the case. This time it was heavy wet snow, about six or so inches of it, and then it blew and rained. It was one warm sloppy mess by this morning.